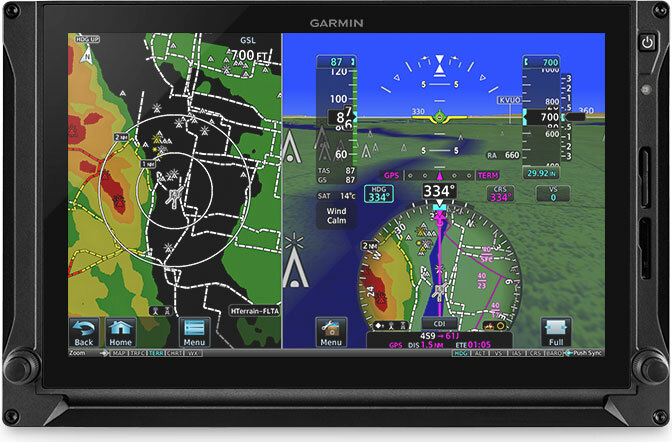 Garmin is pleased to announce G500H TXi, a new generation of touchscreen flight displays for helicopters. Built on the proven capabilities of the original G500H series, G500H TXi offers a vastly expanded array of features, options and panel possibilities that bring a new level of reliability, adaptability and affordability to helicopter operations. Designed specifically for FAR Part 27 VFR helicopters, G500H TXi boasts a bright LCD design — including a large 10.6-inch display and two versions of 7-inch displays, available in portrait or landscape orientation — and features traditional concentric knobs for added versatility and convenience. For helicopter-specific mission readiness, G500H TXi can be equipped with a five-color Helicopter Terrain Awareness and Warning System1 (HTAWS), WireAware wire-strike avoidance technology and Garmin HSVT 3-D synthetic vision. G500H TXi also supports multiple video input options, night vision goggle (NVG) compatibility and a graphical map overlay within the horizontal situation indicator (HSI) for most display formats. For helicopters already equipped with the original G500H series flight displays, full G500H TXi compatibility with existing system sensors makes for an easy, cost-effective upgrade path. The system’s familiar user interface and best-in-class graphical display capabilities enable pilots to access and process more high-value flight information at a glance. G500H TXi incorporates a clean-sheet touchscreen design with modern processors that support improved map and chart rendering, faster panning and contemporary single-finger zoom and pinch-to-zoom gestures. 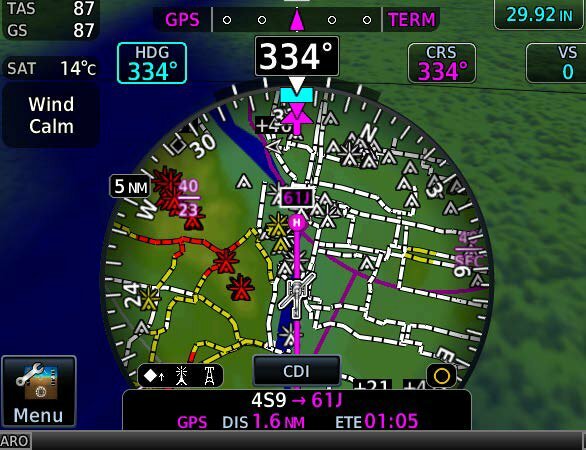 Through any combination of the touchscreen or dual concentric knobs, pilots can quickly access and view flight information at a glance. Modernized displays and large fonts offer improved readability, while the intuitive user-interface helps reduce overall pilot workload. To support night operations, enablements are available to add NVG compatibility. 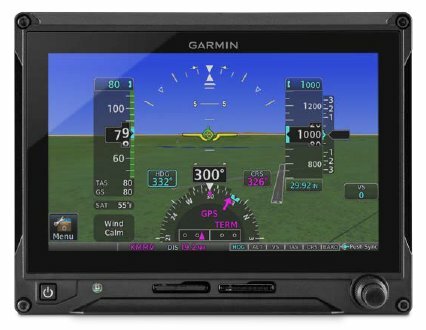 Offering an impressive array of display options, G500H TXi is available as a 10.6-inch horizontal format display that can accommodate PFD information and an MFD side by side within the same unit. 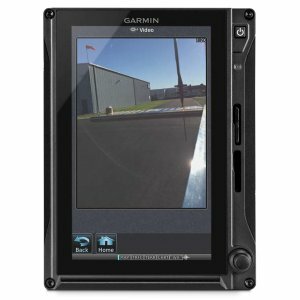 Similarly, the 7-inch portrait format displays can be individually dedicated to PFD with the HSI map or MFD functions. 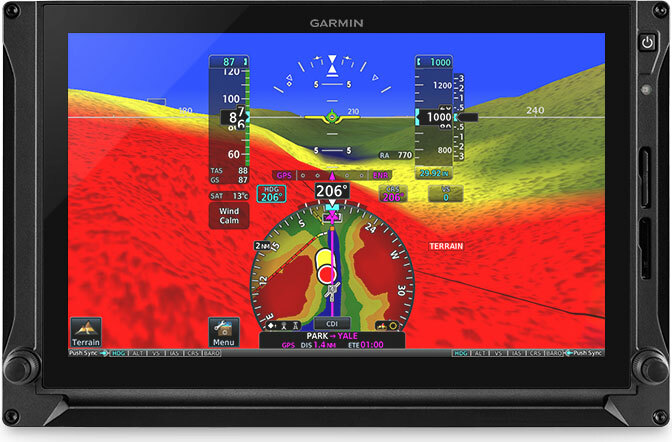 Another option, where panel space is limited, allows the 7-inch landscape format display to serve as a dedicated PFD with instrument tapes, a half-arc HSI and optional Garmin HSVT™ 3-D synthetic vision. The system can be mixed and matched with up to two of the high-resolution touchscreen displays, and for added versatility and convenience, most control functions can be accessed by the traditional concentric knobs or touchscreen inputs. For the ultimate in hazard avoidance solutions, G500H TXi supports high-resolution, five-color HTAWS when paired with an HTAWS-equipped GTN™ or GNS™ series navigator. Using WAAS GPS position information compared with the system’s internal databases, HTAWS offers forward-looking avoidance capability to predict in advance where potential hazards may exist to help pilots maintain safe separation from nearby terrain, towers or obstacles. In addition to the already extensive databases found in its fixed-wing counterpart, every G500H TXi system uses a helicopter-specific obstacles database featuring more than 200,000 additional low-altitude obstacles. For added protection, an expanded version features more than 700,000 miles of power lines, and our WireAware wire-strike avoidance technology uses this database to overlay powerline locations and relative altitude information on the moving map; WireAware also provides both aural and visual alerting when operating near power lines. To provide even more situational awareness, G500H TXi includes HSI mapping capabilities that puts an MFD-like perspective map view within the HSI portion of the PFD. The HSI map view can also support the overlay of NEXRAD imagery and weather inputs from ADS-B and SiriusXM® datalinks. 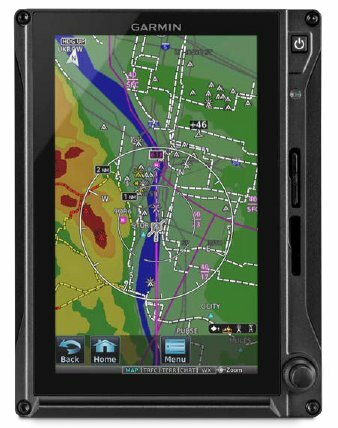 Designed to interface with a wide range of avionics equipment — including the new GFC™ 600H helicopter flight control system and the GTN series navigators — G500H TXi provides full touchscreen continuity between the navigation, communication and flight display functions in a panel. The G500H TXi flight display system is targeted for approval on several popular helicopter models in fourth quarter 2018. The G500H TXi includes a two-year warranty, which is supported by Garmin’s award-winning avionics product support team.